A dive in murky waters describes the process that changed the Brazilian “Forest Code”, now renamed the “Native Vegetation Protection Law” (hereafter NVPL; Federal Law no. 12,651/2012), generating severe criticism by the scientific community (SBPC and ABC 2012). Drafted to accommodate the needs of specific groups, this document lessened the protection around “Permanent Preservation Areas” (hereafter PPAs) in favour of increased agricultural production (Metzger et al. 2010). After promulgation of the NVPL, uncertainties about the increase in agrarian production remain (Strassburg et al. 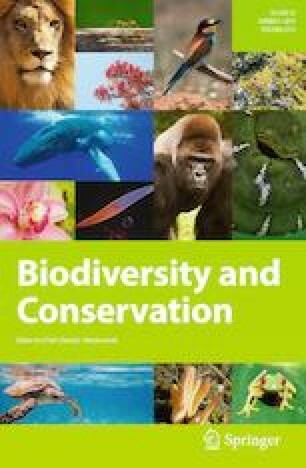 2014), with additional concerns regarding the removal of protection in ecologically fragile areas throughout the Brazilian territory (Grasel et al. 2018). IBGE (2017) Instituto Brasileiro de Geografia e Estatística. Pesquisa Pecuária Municipal. https://sidra.ibge.gov.br/pesquisa/ppm/quadros/brasil/2017. Accessed 03 Dec 2018. IBGE (2018) Instituto Brasileiro de Geografia e Estatística. Diretoria de Pesquisas (DPE) Coordenação de População e Indicadores Sociais (COPIS). ftp://ftp.ibge.gov.br/Estimativas_de_Populacao/Estimativas_2018/estimativa_dou_2018_20181019.pdf. Accessed 03 Dec 2018.